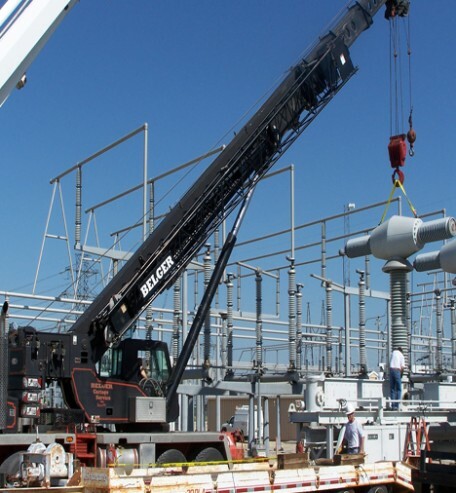 Due to compact working areas, extra care is always necessary for projects at electric substations. 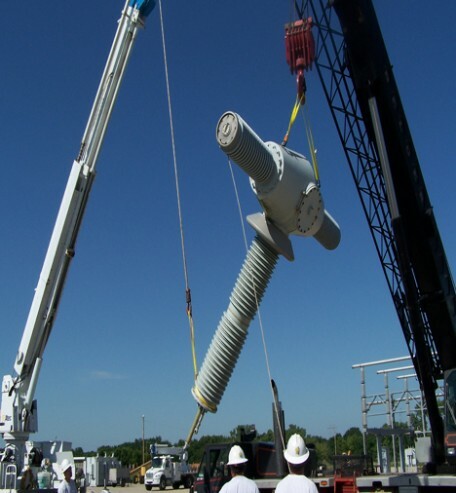 Belger’s HTC-8670 70-ton truck crane is used to hoist a 345,000 volt capacity switchgear from its frame at a rural substation onto a waiting trailer for transport. 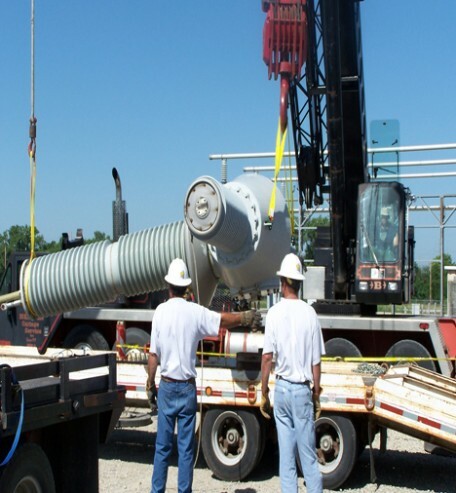 Belger then worked in coordination with an electrical contractor’s 30-ton boom truck to change the switchgear’s orientation from vertical to horizontal to set it on the trailer.